Enjoy a western set dinner in town and interact with other dinner guests over great food in a cosy, relaxing ambience. This food establishment is famous for its excellent service and quality. Join us for a jolly good time while getting to know new friends in this perfect setting. 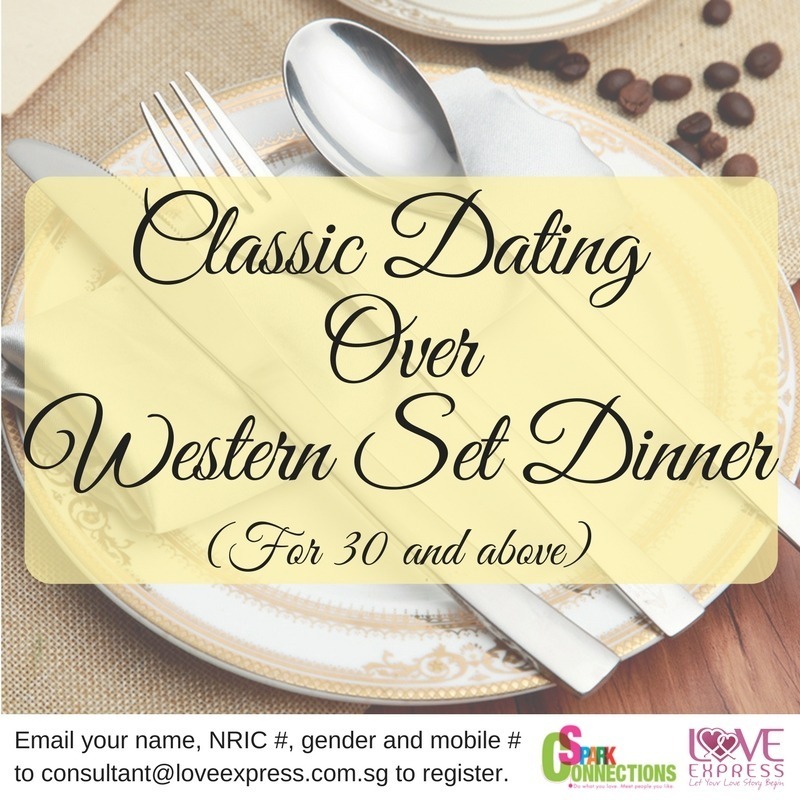 Price includes western set dinner, discreet facilitation and secret matching (if there is a mutual match, contacts will be released to both participants). This is a segmented event for gentlemen and ladies 30 years old and above. Spark Connections 50% discount applies. Key in promotion code SDN50 on the event signup page. Click here for more information. For non-members, please sign up for free membership account, before event registration.